The new Martin Luther King, Jr. Middle School was recently recognized with a design award by the Virginia School Boards Association. In conjunction with the 2014 Virginia School Boards Association annual convention held in Williamsburg, VA during the week of November 17, six architecture firms and seven schools were recognized in the VSBA’s Exhibition of School Architecture. Winning projects were selected from 18 entries submitted by 11 architectural firms in the areas of new construction, renovation and adaptive use of existing space. 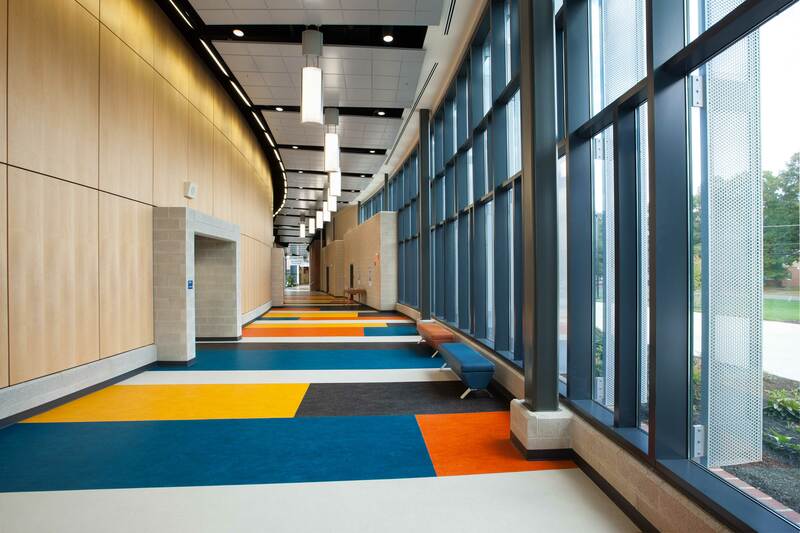 The school was designed by BCWH, a Virginia based, full-service architectural, interior design, landscape architectural and campus planning firm with a twenty-eight year history of design work in K-12, Higher Education and Municipal projects. Martin Luther King, Jr. was designed in association with Kei Architects.